...is it possible to be addicted to crunchy peanut butter? I would be 20 pounds lighter if I didn't require a daily spoonful of crunchy peanut butter. I've tried to not purchase the stuff, but that just leads to midnight runs to Target followed by midnight peanut butter gorgings. 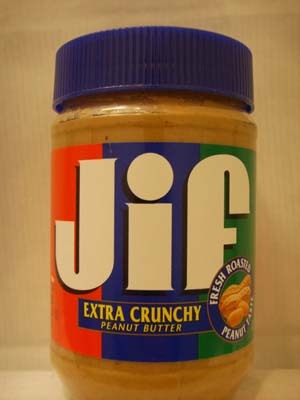 I love crunchy peanut butter. SO MUCH!